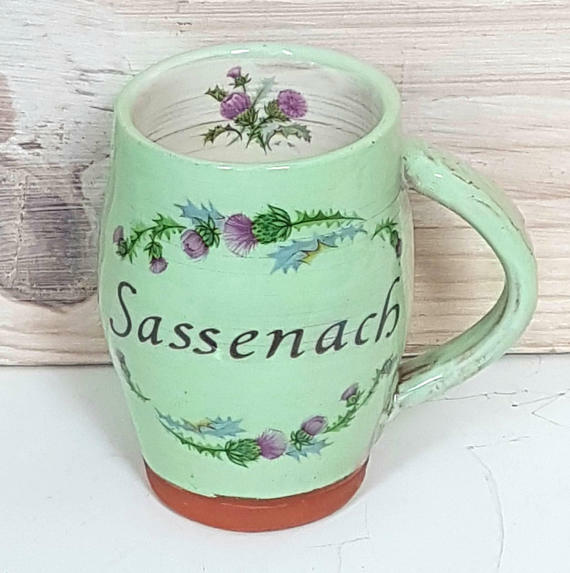 This handmade green terracotta mug has ‘Sassenach’ written on the front. 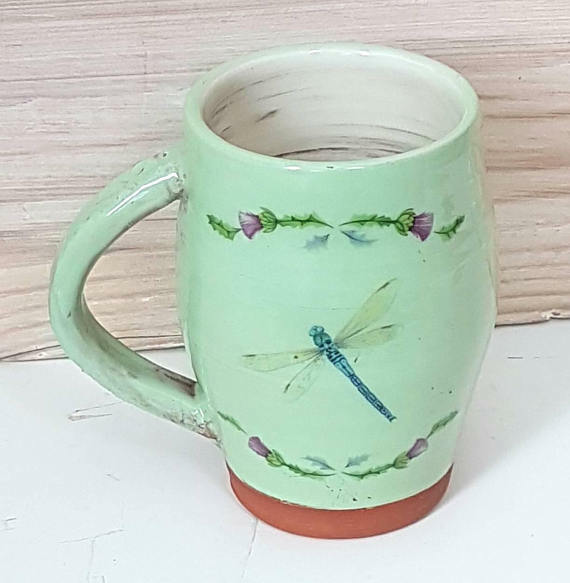 The mug also features thistles on the other side and a dragonfly. 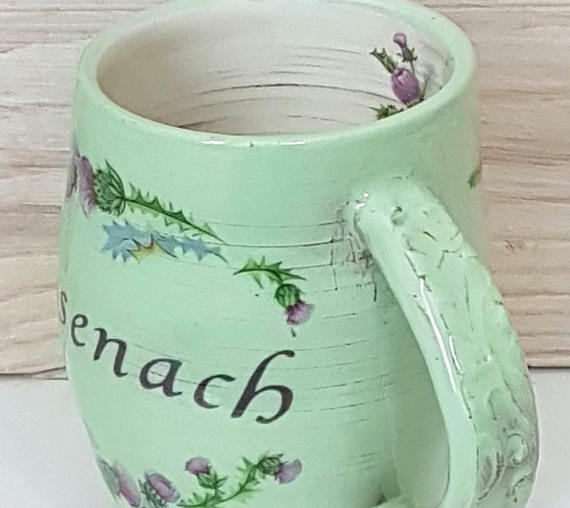 There is also a thistle on the inside. The mug handle is impressed.